Model Shop engineer Ed Townend has recently returned from a Tall Ships sailing adventure, a reward from Reliance for the successful completion of his Apprenticeship training programme. 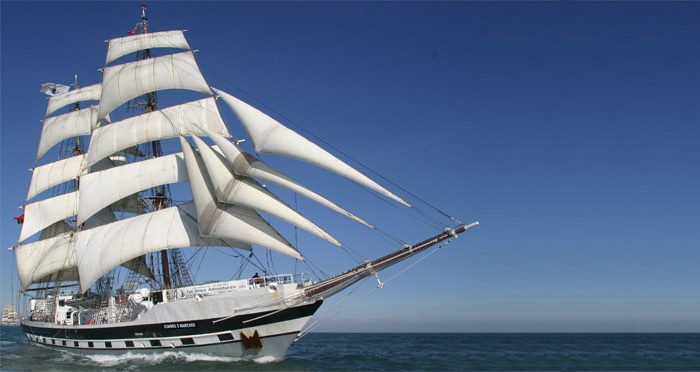 Ed embarked on a week long journey sailing the Stavros S Niarchos, a 200ft Brig (two square-rigged masts), from Liverpool up the west coast of England to Glasgow. A complete novice at sailing, he quickly found himself a fully integrated crew member, responsible for running the ship 24/7. A fully hands-on experience, Ed had to learn how to navigate and read charts, climb up the huge masts to let down the sails, steer from the helm, as well as assist in the galley and help to maintain the ship.